Go Home or Die Here! In May, 2008 South Africa experienced a wave of vicious, xenophobic attacks against foreign refugees / asylum seekers from Africa. More than 60 people were brutally murdered, tens of thousands of people forcibly evicted from their homes before the authorities stepped in to protect them. Many simply fled the country. This was surely the lowest point in South Africa’s post Apartheid history. Those remaining were relocated to refugee camps for their protection where they faced a terrible choice: ‘reintegration’ into the communities that evicted them or repatriation to their home countries, many of which were suffering civil war, where they faced persecution or death; precisely the reason for their leaving in the first place. Languishing in these camps they waited for the authorities or the UN to decide their fate! As South African ‘residents’ these refugees – asylum seekers have constitutional rights; in reality these rights are worthless. 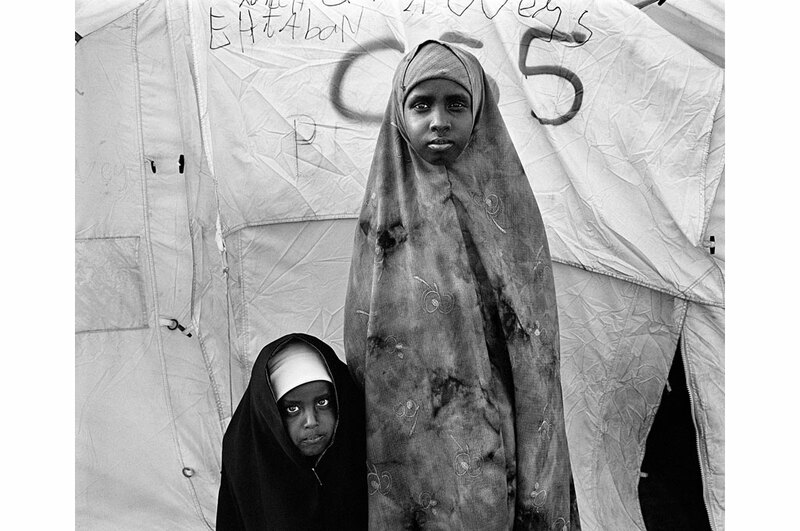 These photographs were taken during 2009 in the “Blue Waters” camp in Cape Town where these refugees were ‘temporarily’ housed – for their own protection. Meanwhile attacks on foreigners continues, their homes and shops are torched, possessions stolen and they are threatened with death because they are seen to be stealing local (unemployed) peoples’ jobs. With unemployment and despair at dangerously high levels fears are inevitably fuelled. And the problem remains. When, where will the next attack occur?